CALVERTON, MD, August 4, 2014 — In a strong second quarter showing, intermodal posted gains across all segments, according to the Intermodal Association of North America’s (IANA) Intermodal Market Trends & Statistics report. International containers increased 9.6 percent, trailers improved by 4.3 percent, and domestic containers grew 7.6 percent quarter over quarter, all indications that the intermodal industry is recovering from a harsh winter and a contracted economy. Due in large part to Q2’s strength, the first half of 2014 averaged 5.5 percent in total intermodal volume gains, just below the 5.8 percent growth recorded in the second half of 2013 and in-line with recent trends. The seven highest-density trade corridors, accounting for 66.2 percent of total intermodal volume, rose 7.4 percent this quarter, falling below the 8.2 percent industry average. Five of the seven bi-directional lanes recorded growth near or above industry averages. The Trans-Canada corridor, positively impacted by international intermodal shipments from Eastern Canada to Western Canada, led the way in corridor growth with a 10.5 percent quarter-over-quarter increase. Eight of the nine IANA regions experienced growth in the second quarter, with six areas reporting increases larger than 10 percent. Of these six, all were heavily impacted by strong showings in international intermodal shipments. The Midwest and Southwest, the two largest IANA regions accounting for almost 50 percent of total loadings, climbed 6.3 percent and 7.8 percent, respectively. Intermodal Marketing Companies (IMCs) posted Q2 growth rates that were more modest than the overall intermodal volume numbers, growing 2.4 percent from last year. Like much of the broader market, IMCs in part benefited from the robust showing from imports based on transloading opportunities. Average revenue for both intermodal and highway IMC market segments continued its strong growth, with increases of 6.0 percent and 16.3 percent respectively. A month-by-month IMC growth comparison indicates that April led the way with solid 4.2 percent gains, then slowed to 0.9 percent in May and 2 percent in June. 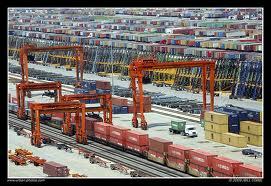 In quarter-over-quarter comparisons, intermodal business accelerated 6.7 percent. Intermodal Market Trends & Statistics is published quarterly by IANA and is available on a subscription and individual copy basis. 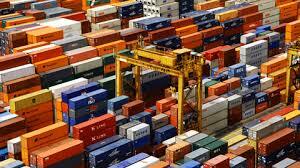 Members of the press may request a sample copy of the Q2 2014 Intermodal Market Trends & Statistics from Tara Mullen at tara@intermodal.org. The report features detailed analyses and reproducible graphical representations of Q2 2014 results. IANA is North America’s only industry trade association that represents the combined interests of the intermodal freight industry. The association’s mission is to promote the growth of efficient intermodal freight transportation through innovation, education and dialogue. The association offers valuable information and services specific to the intermodal industry encompassing consensus business solutions that facilitate: operations, regulatory compliance, and policy issue management. IANA’s membership roster of over 1,000 members represents the diverse companies critical to moving freight efficiently and safely. IANA provides a discussion forum for the many types of stakeholders along the supply chain, resulting in a strong unified voice advocating the needs of intermodal freight transportation. From CoStar’s 2014 Mid-Year Report. totaling positive 2,303,618 square feet in the second quarter. under construction at the end of the quarter. 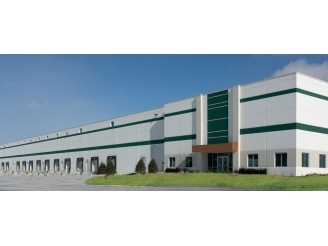 was positive 2,303,618 square feet in the second quarter 2014.
feet at Carlow Corporate Center. 1,163,617 in the third quarter 2013.
end of the third quarter 2013.
the end of the third quarter 2013. $232,203,922. The price per square foot averaged $31.84.